Time to release the latest part of the Goodbye Fairy series! Source: (COMIC LO [2012-02] Vol.95) Get it here (pg. 345-368). So, still remember those ballet lessons Lisa took last time? Yeah? Good, they’ll become important now. Turns out little Lisa wants to become the star of her school’s play, but has a bad case of stage fright. Thankfully her teacher is around to inject her with a healthy dose of self-confidence, among other things. Download the release to find out how little Lisa does on stage after being pumped full of…. courage! Special mention go out to T. Starrk and Job Truniht, who looked this release over. 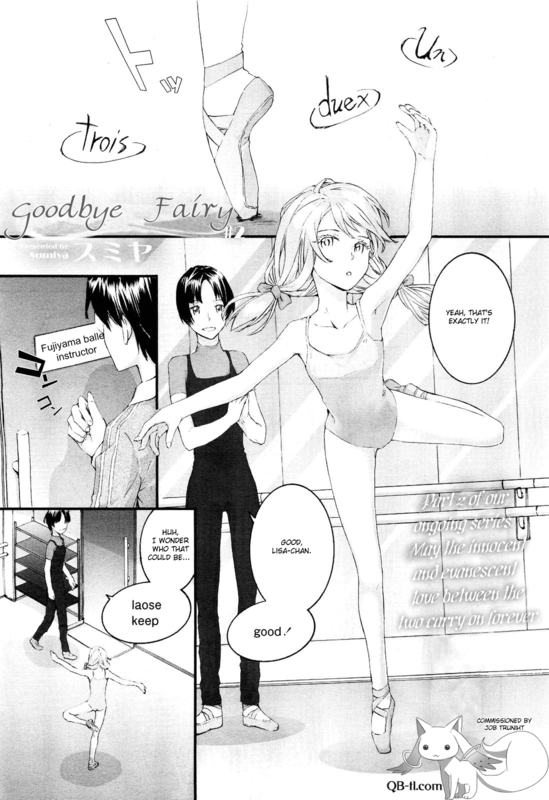 As promised, chapter 2 of the “Goodbye Fairy” series! Source: (COMIC LO [2011-09] Vol.90) Get it here (pg. 345-368). Chapter 2, as one would expect, is a direct continuation of chapter 1. We’ve got Lisa, our adorable exchange student who’s trying to get better at English, and her teacher, who’s got nothing but cute little Lisa’s academic advancement in mind. This time we get to witness Lisa trying out some ballet, when catastrophe strikes: a sprained ankle! Not to fear though, as her kindhearted English teacher will surely rush to her rescue! If you want to see how the story unfolds from here, just download the release already. As previously stated, chapter 3 has already been completely funded. As such, it will probably be available here over the next few days. Make sure to keep those F5 buttons ready! Special mention goes out to T. Starrk, who proofread this release. Edit: Much like with part 1 there is also a version 2 of this chapter available now. The only thing that has changed is the removal of the localization of Lisa’s “Japanese lessons”. Site Update: First joint project available! 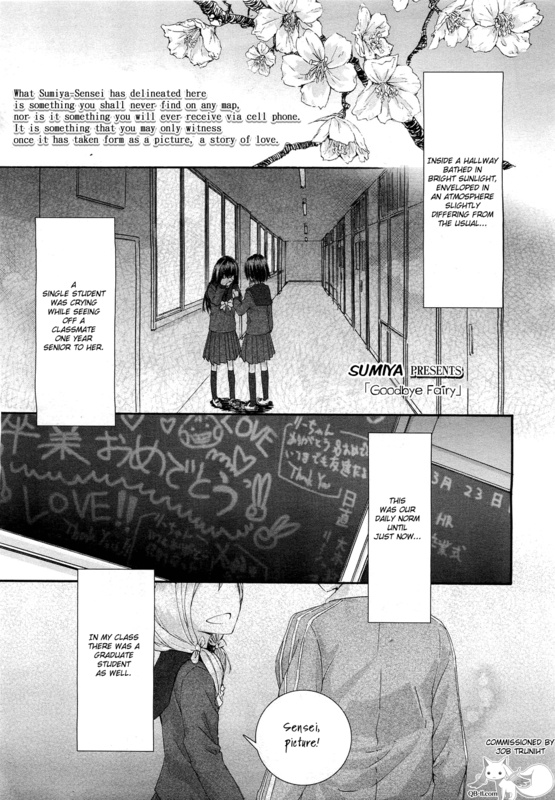 As you might have noticed, we’ve recently released Sumiya’s “Goodbye Fairy” chapter 1. Chapter 2 is already finished and pending release, but we’ve been requested to turn chapter 3 and the soon to be available chapter 4 into a joint project. So, if you liked the first chapter, why not head over to the joint project’s page and check up on the status of the following chapters? We will keep the page updated and let you know about the amount of donations needed and received for any given project. So, if you’d like to chip in or set up a work as a joint project with us yourself don’t hesitate to have a look. Edit: Well, that was fast! 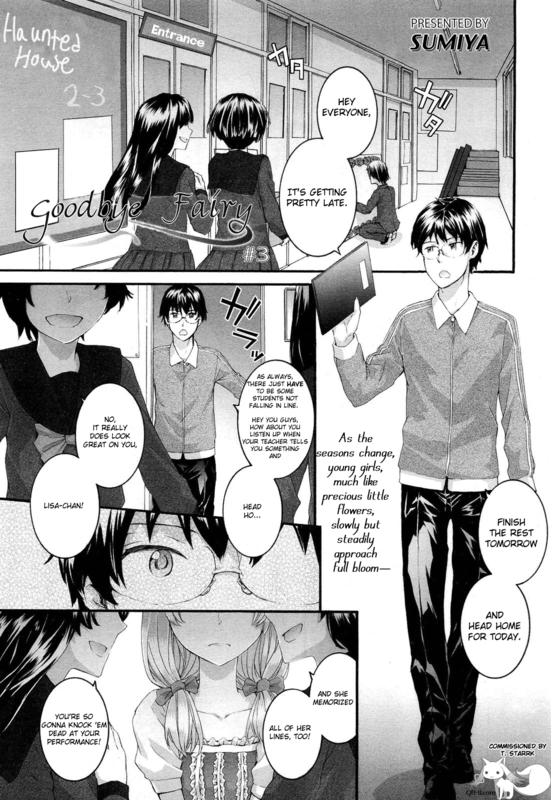 Someone already took it upon himself to commission chapter 3 of Sumiya’s “Goodbye Fairy” series! Guess that means no donor projects for now after all. Don’t hesitate to email us about joint projects you’d like to set up, though! Also make sure to check back regularly to learn about any joint projects we may have going on. Time to release another commission! Source: (COMIC LO [2010-12] Vol.86) Get it here (pg. 343-367). Another work by Sumiya! I’m sure you all know that means: Cute loli X caring teacher. And who could ever get enough of that setup? This time the story revolves around an exchange student, Lisa, who’s having a little trouble with English and is trying to improve by taking part in some extra curricular activities. What extra curricular activities, you ask? Get your mind out of the gutter, they’re obviously just going to rehearse some vocabulary and go over a few grammar points! Or are they? Download the release to find out. This is actually chapter 1, with 2 more chapters available and 1 chapter to be released soon. Chapter 2 has already been commissioned, finished and will be released shortly. As for the remaining 2 chapters, please check out our blog post above! Edit: There is a version 2 available now ! The initial release included a small localization, namely changing Lisa’s “Japanese lessons” from the original to “English lessons”. This was meant to avoid the contradiction of having the characters talk about Japanese lessons while continuing to talk in English. It seems to have caused more problems than it solved, though, and as such was changed. Enjoy! Time to release a little gem that we’ve been requested to translate for our 22nd release! Ah, Milky Holmes. A true treasure trove of lolis. In this nice little work we have innocent and pure Sherlock trying to get some free candy when Kokoro-chan joins in on the fun. Needless to say, she gets some delicious candy too. So, if you’ve got a sweet tooth as well, definitely don’t let this gem slip you by! Special shout-out goes out anounyym1, who requested the work and provided us with some really high quality scans. Time for a Combo Breaker with our 21st release, which doubles as the first commissioned work to ever be released on our site! Source: (COMIC LO [2010-12] Vol.81) Get it here (pg. 173-194). No Rustle release this time, but something really nice nevertheless. A moving tale about a young girl and her teacher, hopelessly in love with each other, trying to find a way to make things work out between them. Will they succeed or bow to societal pressure? Download the release to find out! This is not the first commission we have ever received, but the first commission we get to post on our site, so I believe a bit of celebrating is in order. Time to get out the old party hat and party horn!